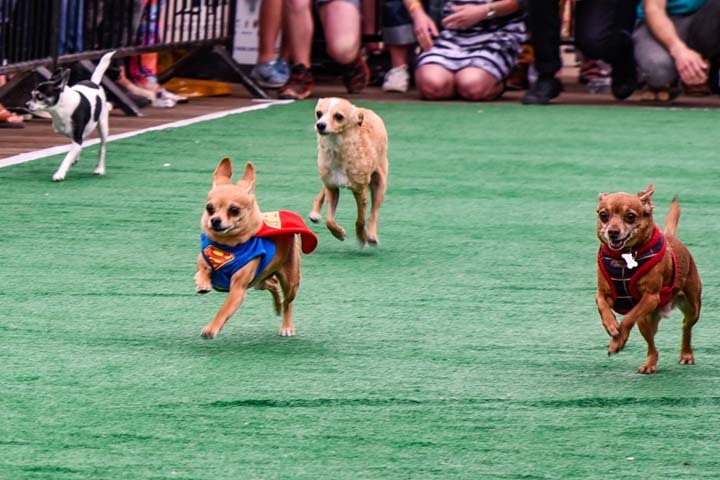 Kick off Cinco de Mayo with Corona and The Wharf at the Eighth Annual Running of the Chihuahuas on District Pier. Don’t miss DC's funniest Cinco de Mayo celebration! The day includes the races – broadcast on jumbo video wall, beer garden, pet-friendly exhibitors, an activity zone powered by D.C. United - all hosted by DC's very own Tommy McFly! All race proceeds benefit Rural Dog Rescue. The event will take place from 1PM - 5PM. This event is free to attend but you must be 21+ to consume alcohol. All dog breeds are welcome to watch! For all the info visit www.cincodc.com. District Pier at The Wharf: 101 District Square SW, DC; www.wharfdc.com. These terms and conditions are a binding contract between yourself and TicketSocket. AGREEMENT OF THESE TERMS IS EQUIVALENT TO A DIGITAL SIGNATURE ON A CONTRACT. ALL SALES ARE FINAL. CANCELLATION OF AN ORDER IS NOT PERMITTED AFTER THE ORDER IS PROCESSED. If the event is cancelled you will receive a refund minus the service charge WHICH IS NEVER REFUNDABLE. If you encounter any issues at the event, you must contact [Company Name] within 5 business days following the originally scheduled date via a trouble ticket inquiry at [Company Email] in order to request a refund and failure to do so will waive your right to a refund. Not all refund requests will be honored. YOU CAN NOT EXCHANGE ITEMS OF YOUR ORDER PURCHASED FOR OTHER ITEMS FROM THE WEBSITE. YOU CAN NOT EXCHANGE ITEMS OF YOUR ORDER PURCHASED FOR MONEY TO USE AS CREDIT ON THE WEBSITE. REGARDLESS OF SITUATIONS SUCH AS INCLEMENT WEATHER, NATURAL DISASTERS, EXTENDED WAITS IN LINE AT THE VENUE, FAMILY EMERGENCIES AND MEDICAL EMERGENCIES A REFUND WILL NOT BE ISSUED. All Event personnel have the right to refuse entry to any ticket holder, without a refund, for any reason at their discretion. Venue and Talent are subject to change without notice and are not grounds for a refund. Anything promised by the promoter that is unfulfilled is not guaranteed by TicketSocket and is not grounds for a refund.